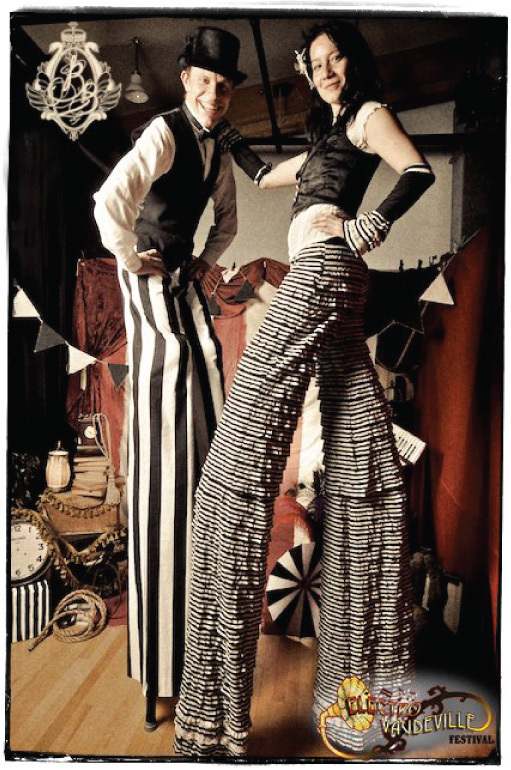 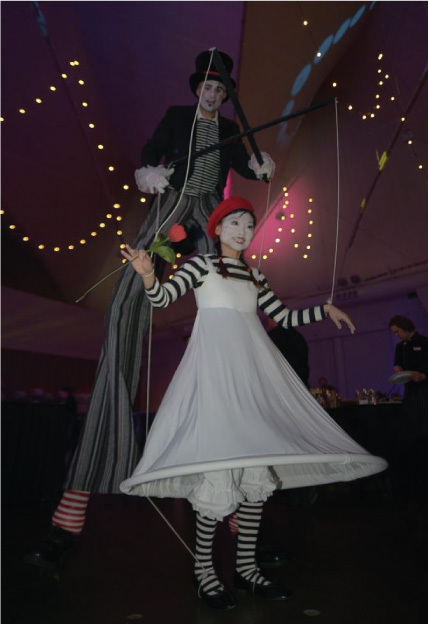 Costume characters and stiltwalkers make a room come alive. 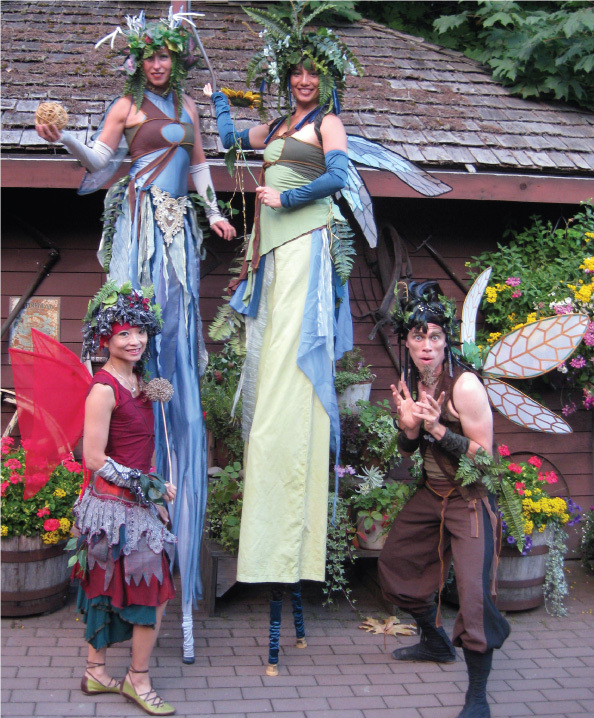 They take your guests out of their heads and transport them to a more magical and playful state of being. 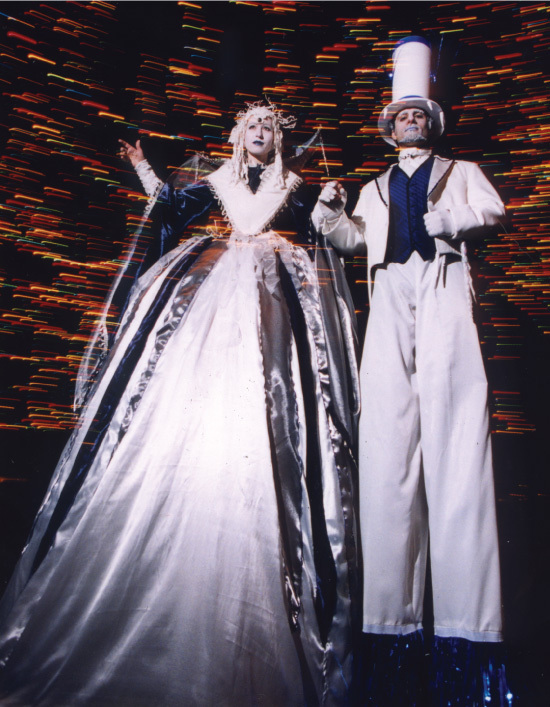 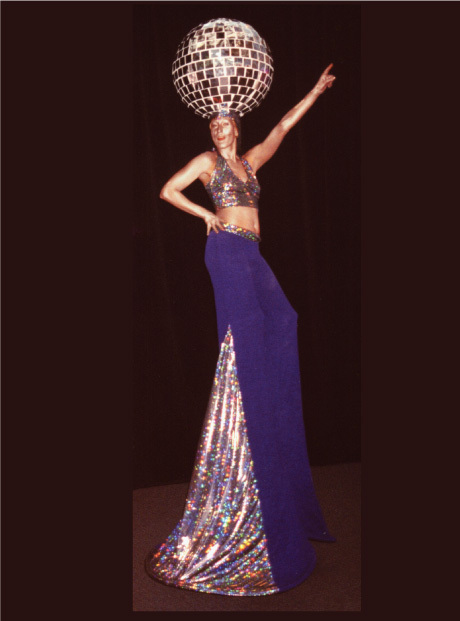 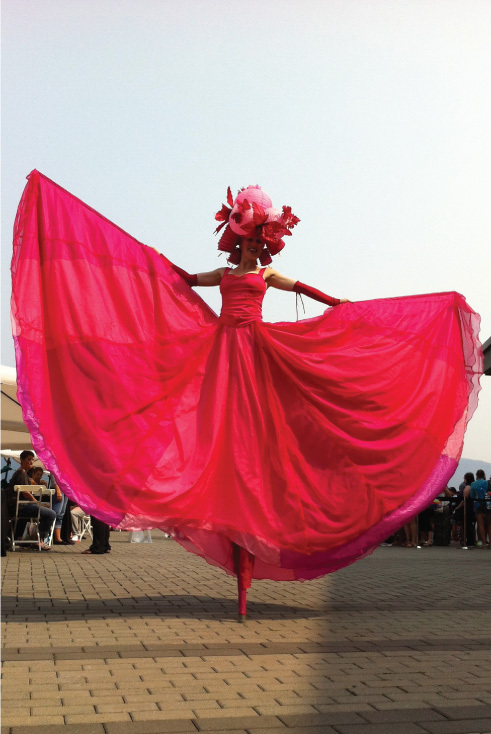 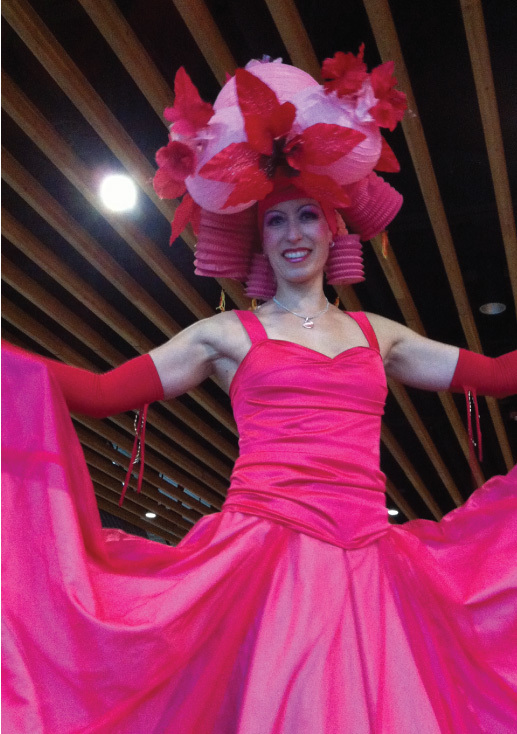 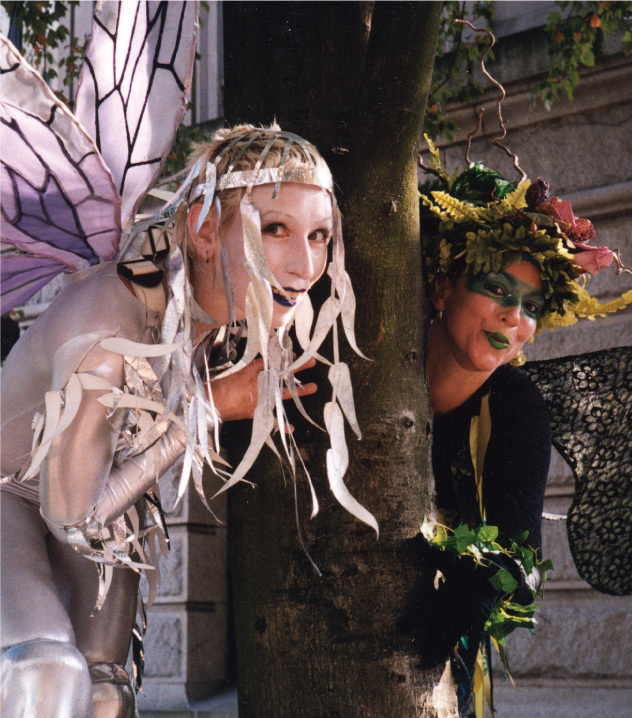 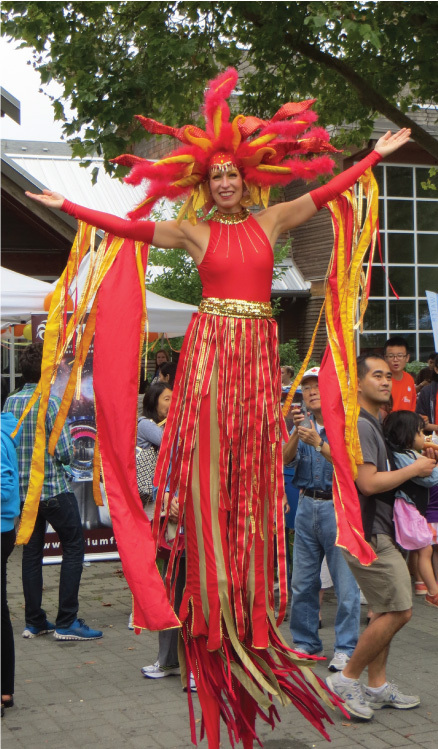 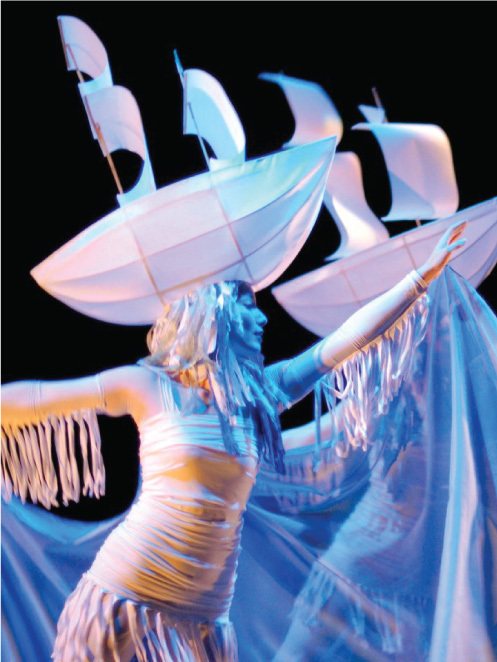 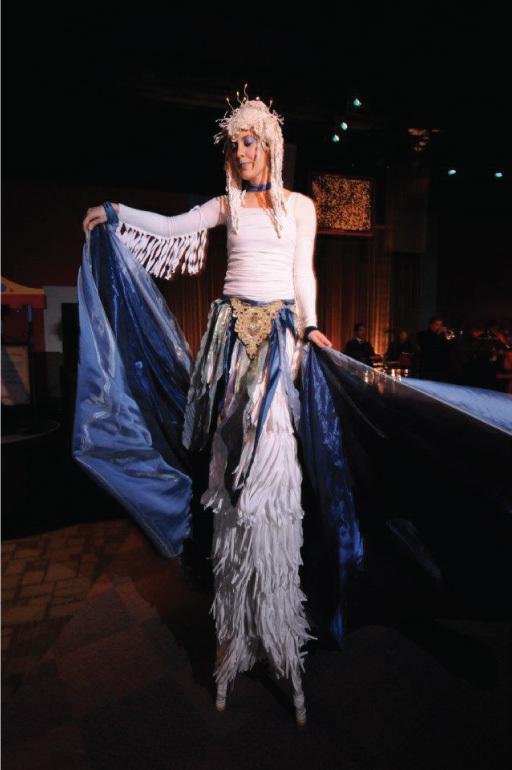 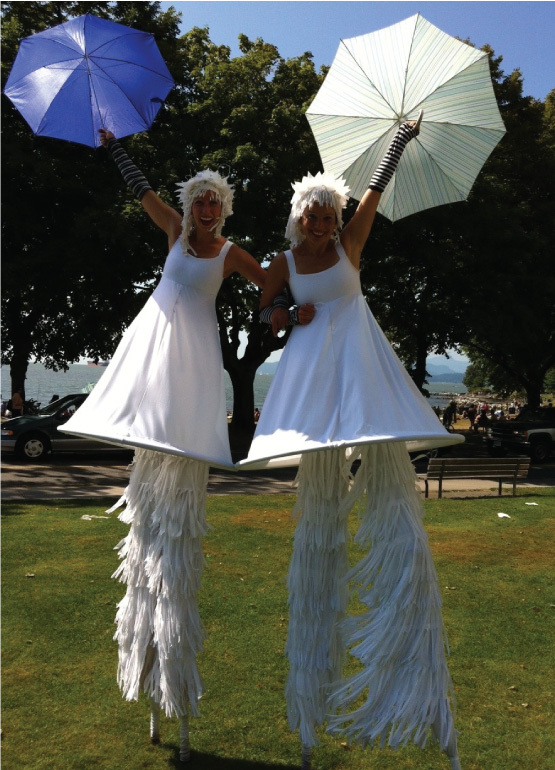 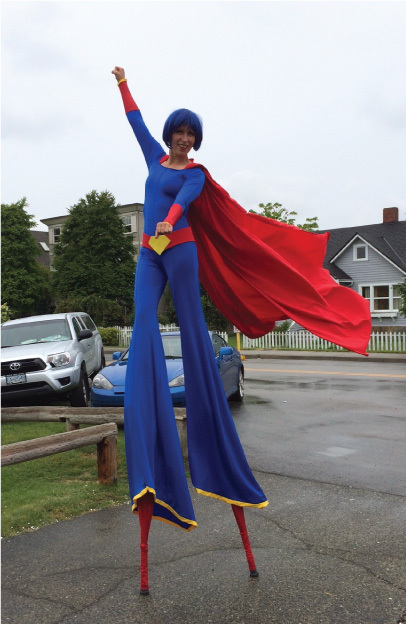 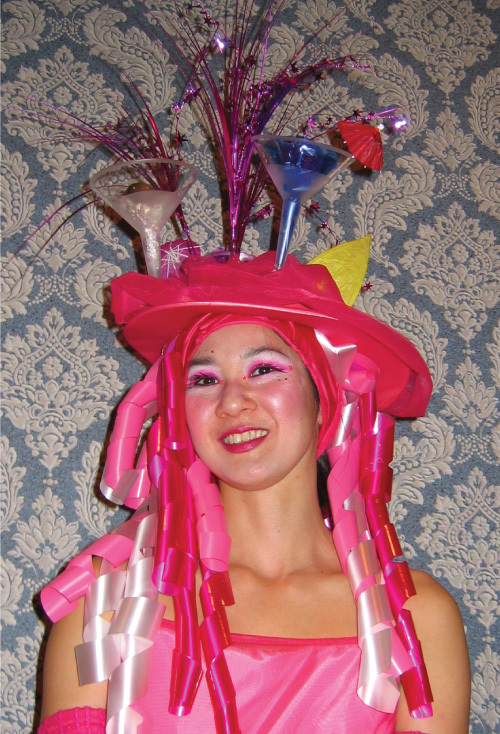 Costumed characters and stiltwalkers (roving performers) can be a moving visual element, adding atmosphere to your event, or they can be very interactive and engage more directly with people. 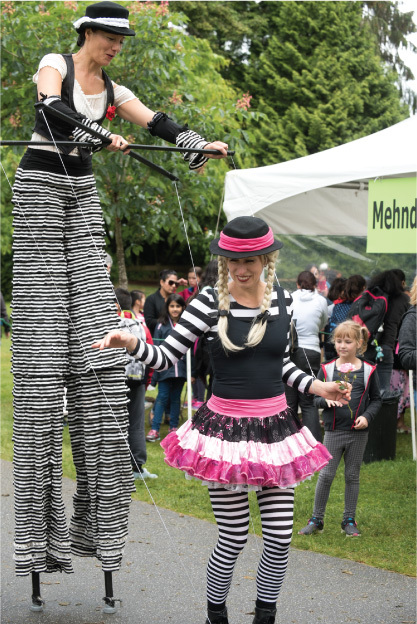 As a guideline roving performers generally work in 30-minute sets, with 1 – 5 sets over the course of an event and at least a 30-minute break between sets. 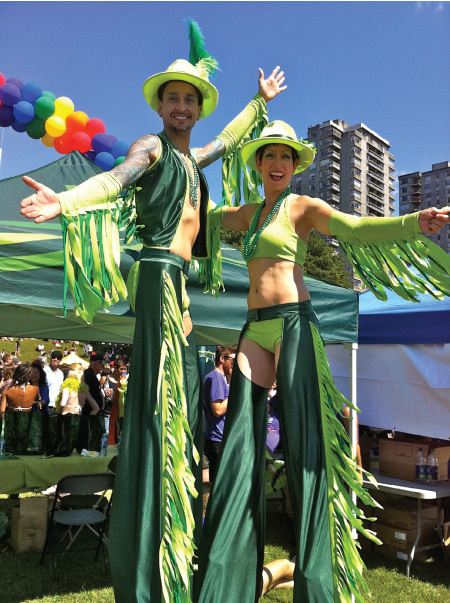 Longer sets are possible as in the case of parades or also sometimes when characters are used as a welcoming party to an event. 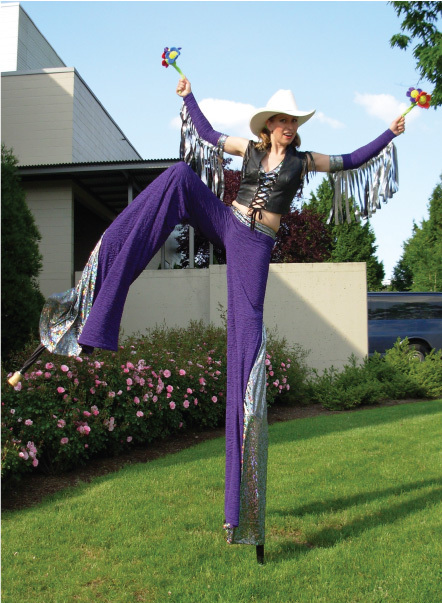 Set and break lengths are ﬂexible so please talk to us about your needs. 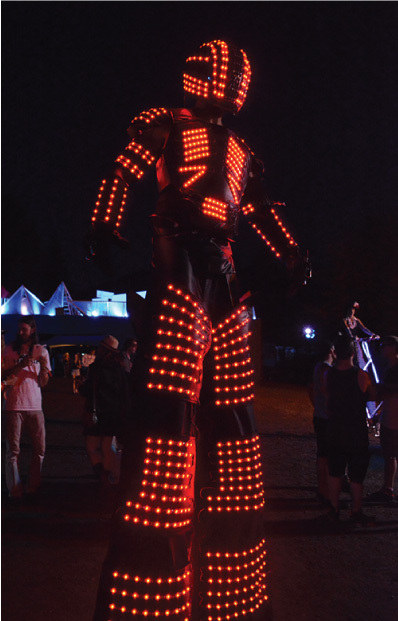 Firebelly is often making new costumes or can combine various costume pieces in new ways. 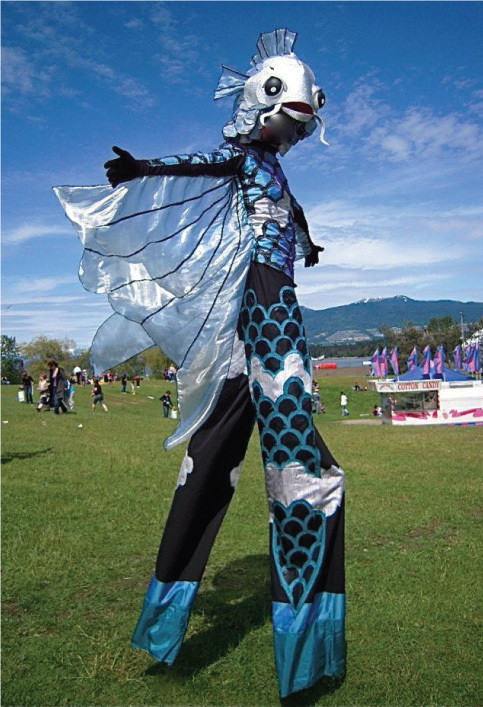 We also collaborate with many performers and other groups who have their own costume options. 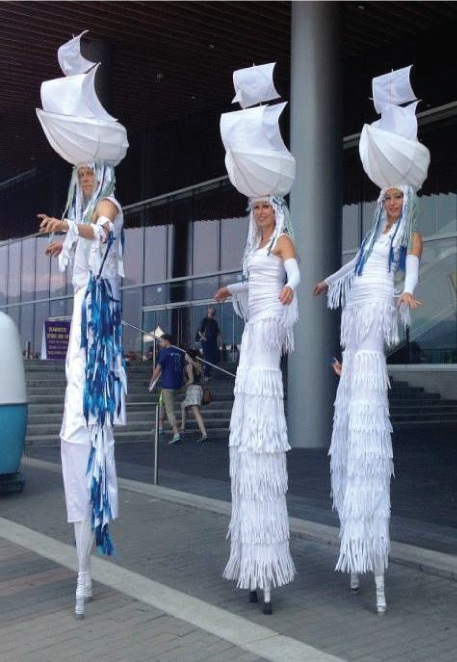 Please ask us if you are looking for something you don’t see here. 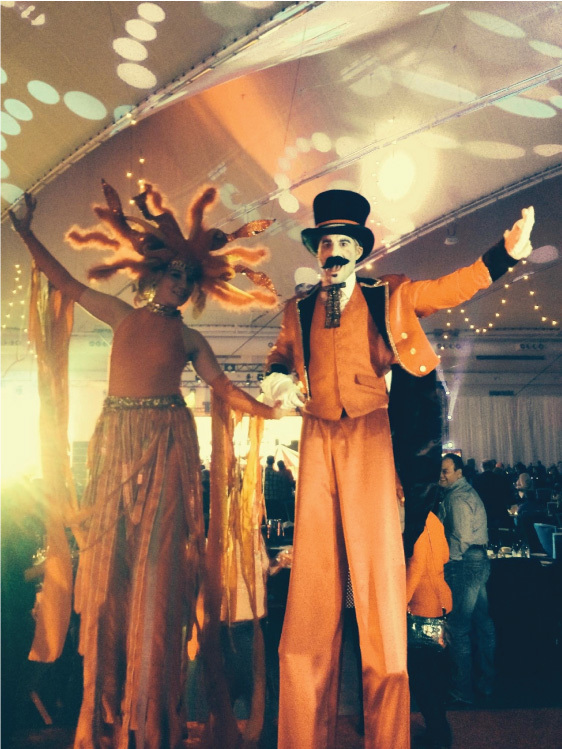 If you’re not sure what you want we are happy to make some recommendations based on the speciﬁcs of your event and what we’ve found to be popular. 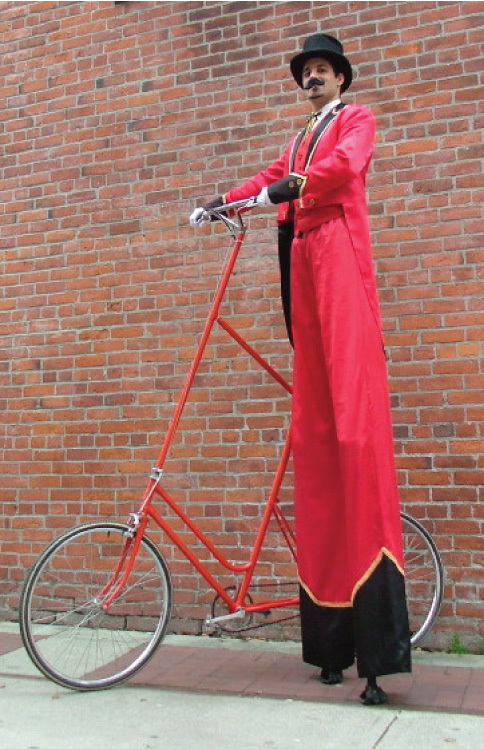 Ringmaster with Bicycle - Yes he rides it!